A mutual fund company pools money from individual investors and invests it, charging each investor a fee for the convenience of having someone else manage their investments. Investing in a mutual fund is an alternative to hand-selecting individual stocks and bonds and buying them independently. Sounds great, right? 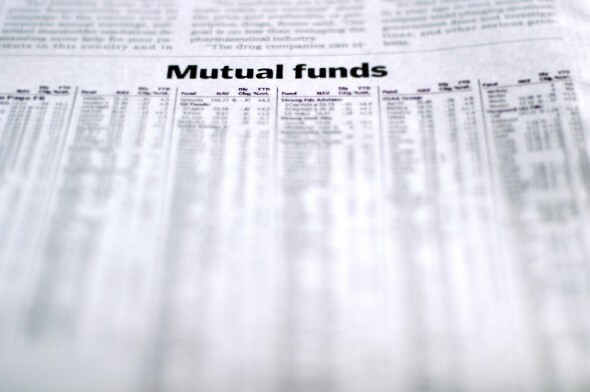 Not all mutual funds are created equal, though. If you have money that you’d like to invest – for retirement, say – you can’t just walk up to the New York Stock Exchange and slap down some cash. If you want to buy an individual stock, you have to buy through the company that’s issuing the stock or through an investing firm that will most likely charge you on a per-trade basis. But buying individual stocks takes time and expertise. You have to do the research into each stock or bond, and you have to work to build a balanced portfolio without too much risk. And even after all that, your investment strategy might not pay off. Mutual funds eliminate the need to research each stock or bond you might want to buy. Instead, you invest in a mutual fund and the fund company buys shares and bonds for you and your fellow investors. It’s simple. Many people first encounter mutual funds when they get their first “big kid job” and start contributing to a 401(k). Employees with 401(k)s generally get to choose between several mutual funds that will take pre-tax contributions and help them grow. As we mentioned, the investor doesn’t choose the holdings within a mutual fund. Instead, he or she chooses a) the fund company and b) the fund. Choosing the mutual fund that’s right for your investments isn’t a decision to be taken lightly. A mutual fund might hold just stocks, just bonds or a mix of both (this is called a balanced fund). A mutual fund could hold domestic stocks and bonds or international ones. It could be a specialized fund that only invests in a certain sector, such as real estate or health care. It could be a Target Date Fund that holds a mix of stocks and bonds that rebalances according to how close the owner is to retirement. Or, it could be a money market fund, with returns that hover just above the returns on a regular savings account. One type of mutual fund is important enough to be considered a separate financial product altogether. That’s the index fund, which tracks the performance of the overall market without trying to beat it. Index funds are the passive alternative to actively managed mutual funds that employ experts who try to beat the market. Index funds generally charge lower fees than their actively managed counterparts. Related Article: What Is an Index Fund? The biggest mutual fund companies are household names. 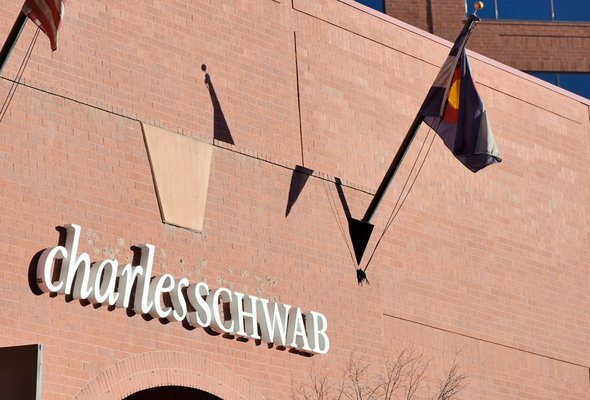 Think Fidelity, Vanguard and Charles Schwab, among others. If you’re buying a mutual fund for your 401(k), you’ll be limited to what your employer offers. In some cases, employers offer funds from only one company. Obviously, if you’re in that boat, your choices are constrained. If you’re choosing between multiple mutual funds, it’s a good idea to compare expense ratios. The expense ratio, expressed as a percentage, tells you the percentage of a fund’s assets that the company keeps to cover operational and administrative expenses. The lower the expense ratio, the more of your money gets to grow and compound. In other words, the mutual fund to buy is the one that offers low fees. A load fund is a mutual fund that charges a sales fee or commission. By contrast, a no-load mutual fund is a fund that doesn’t charge you a sales commission. A load might be expressed as a cash amount to be paid up-front when buying shares (a front-end load) or in several years when selling shares (a back-end load). Some back-end loans phase out if you hold the fund for long enough. A mutual fund load could also be a level load, spread out over time. A no-load fund could still have high fees, so check always check the expense ratio. There isn’t a correlation between higher loads and better returns, so if you can find one, it can be a good idea to go with a fund that has low/no loads and low fees. Mutual funds can be great options for folks who don’t want to take the DIY approach to investing. If you put your hard-earned money into a mutual fund, it’s important to make sure you understand how that fund works and what it’s charging you in fees. It’s not unheard of for people to put all their 401(k) investments into money market funds, only to realize decades later that their money has hardly grown – or has lost money due to high fees. Ouch. Don’t let that happen to you. If you’re not satisfied with the mutual fund choices available to you through your company 401(k), you can always bring up the issue with the company management. It’s your money, and you want to make the most of it. If you don’t have a lot to invest, you might want to consider a robo-advisor. Robo-advisors, which are entirely online, offer lower fees and account minimums than traditional financial advisors. However, if you have a more complex financial situation or just prefer talking face-to-face, consider working with a traditional financial advisor. A matching tool like SmartAsset’s can help you find a person to work with to meet your needs. First you’ll answer a series of questions about your situation and goals. Then the program will narrow down your options from thousands of advisors to up to three registered investment advisors who suit your needs. You can then read their profiles to learn more about them, interview them on the phone or in person and choose who to work with in the future. This allows you to find a good fit while the program does much of the hard work for you.